Traveller in the 3rd Dimension: Experimentation...thoughts? 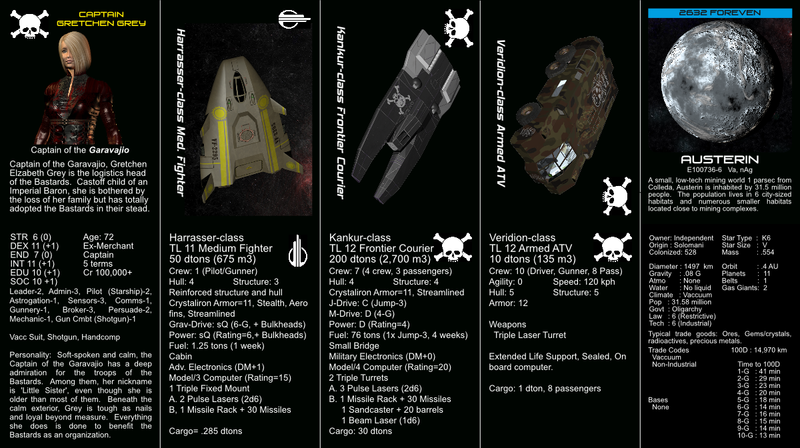 This is a rough draft of (essentially) trading card sized reference cards for the Bastards of Foreven. 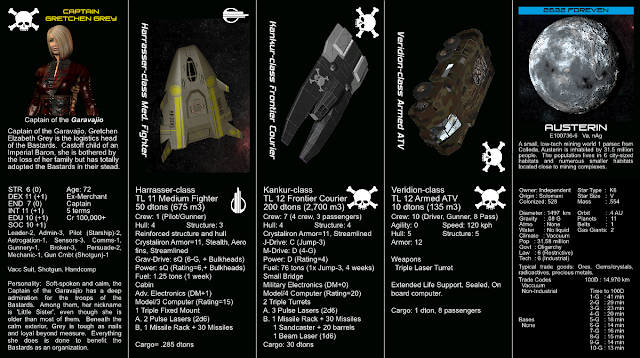 Currently the prototypes include NPCs, small craft, starships, vehicles, and planets. This could (potentially) be expanded to animal encounters, organizations, criminal groups, equipment, and more. I'm currently seeking input on the idea to see if it has any interest. Comments and criticism welcome. 3.5 x 2.5 inch (standard poker size) cards, pic above shows the front on the top row, with the back below it.